I often hear the cliché; the entire world is a stage. Yet, I believe it’s the grand entrance that sets it. It’s amazing how a beautiful entryway makes a garden exciting, giving it structure, and sets the scene for what lies beyond the curtain opening. 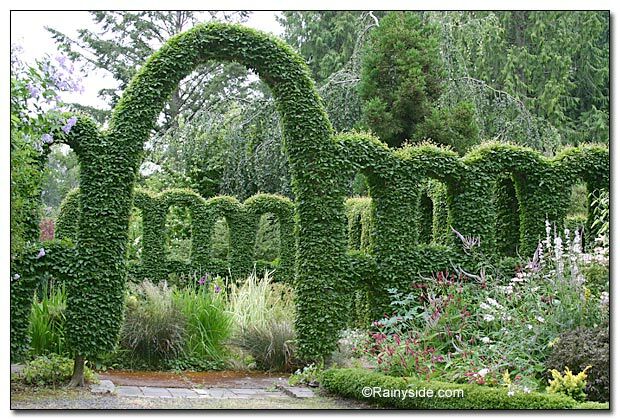 Done grandly, it entices you to walk through and see the garden, which lies waiting on the other side. It’s a signal that lets you know you are about to enter an extraordinary space. 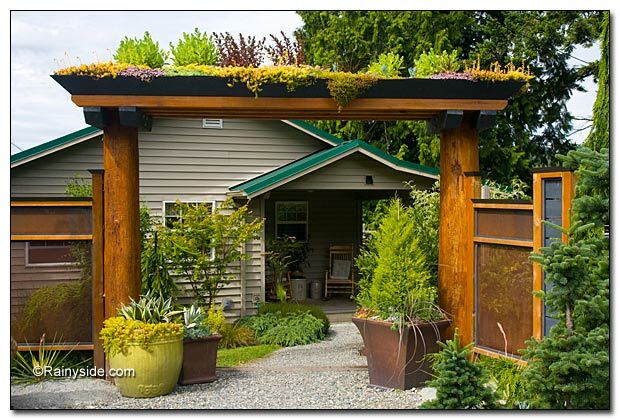 Besides that, an entry way provides the bones that make the garden look fantastic even when many plants are slumbering through the winter months. I’ve gathered photos from a few gardens I’ve had the privilege of touring; the designers know how to set the scene that calls you to come inside and stay awhile. See if you, too, wish you could walk through and see the rest of the garden. 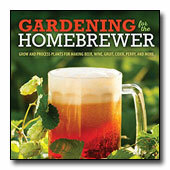 The first three photographs are from Jonathon Morse’s garden on Vashon Island, Washington. Three different areas of the garden have unique entrances. The first one employs a living roof, the second one is made with log rounds and peekaboo portals, and the last one, designed as a striking geometric like no other, holds a living roof planted with frosted curl sedge (Carex albula). 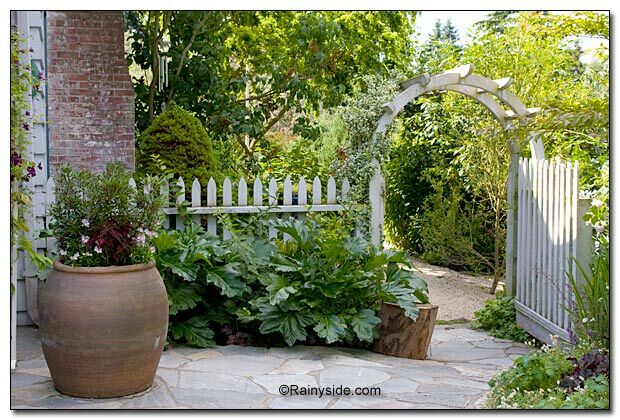 The next image is from Shelagh Tucker's Seattle garden—a passage from a beautiful side garden that transitions to a handsome flagstone patio. 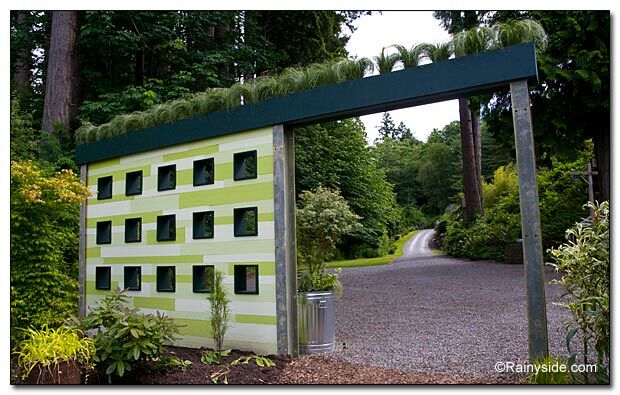 Bloedel Reserve is a special garden on Bainbridge Island. 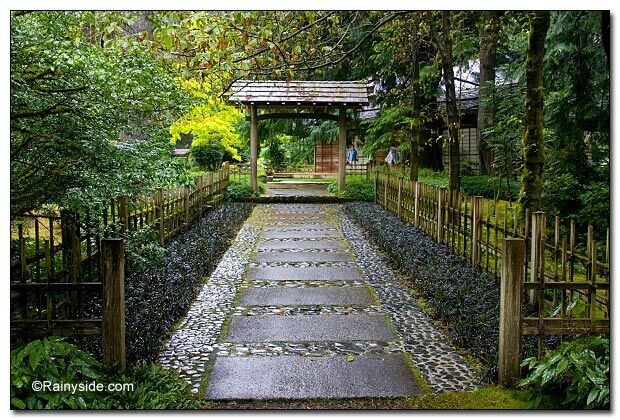 This entrance is to the Japanese Garden and teahouse. 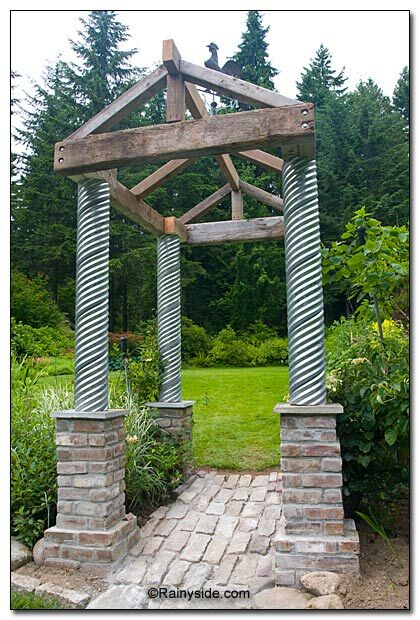 This brick, steel, and wood arbor graces the garden of Nick and Marjorie Masla's Bainbridge Island garden. 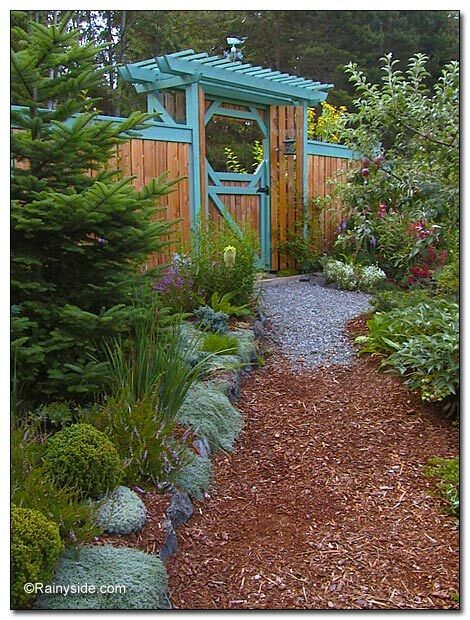 The cedar arbor and gate designed by the author, was built to make a transition from the street side garden to the inner garden. Most everyone in the gardening world is aware of this famous European hornbeam hedge Carpinus betulus 'Fastigiata' at the Heronswood Garden in Kingston, Washington, that transitions into an inner garden. 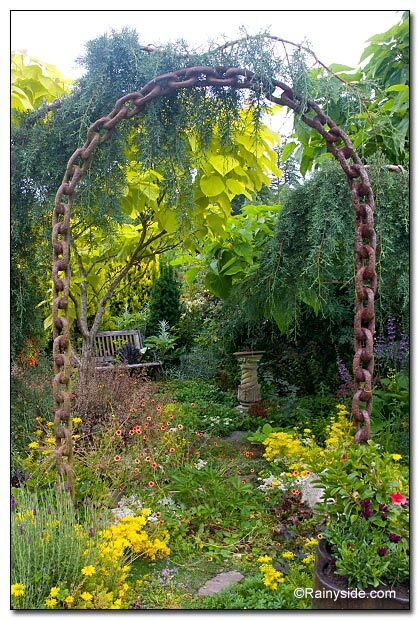 This arbor is made from a large, freestanding, welded chain that greets visitors leaving the parking lot invites them into a little side garden at Dragonfly Farm Nursery in Hansville, Washington. 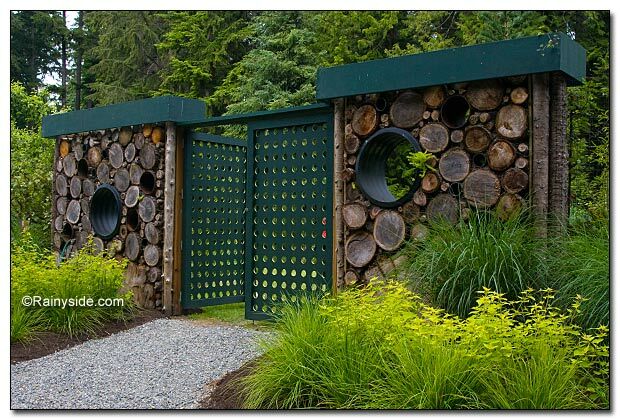 In Long Beach, Washington, Klipsan Beach Cottages have a wonderful deer proof garden. The owners didn't just put up a fence to keep out the deer, they put up beautiful structures. 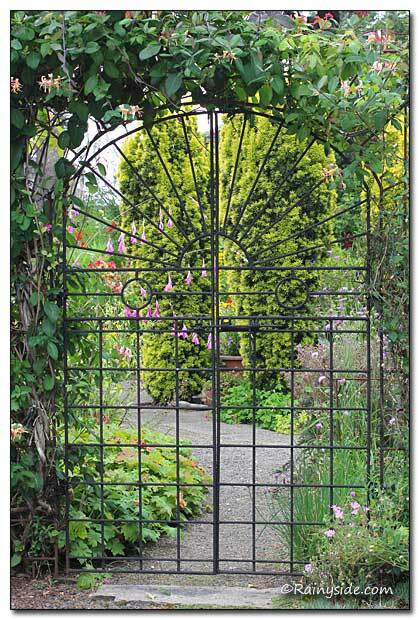 Practical and striking, this gate marks the entrance to a beautiful garden inside the enclosure. 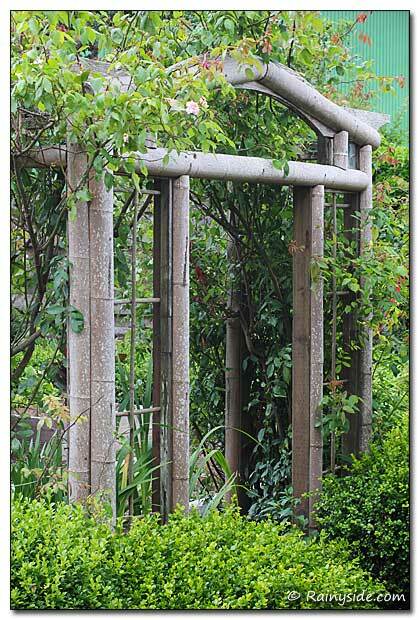 Another wonderful entryway into a garden is made of bamboo and marks the entry into an inner garden at Patti Jacobsen's Long Beach Peninsula garden. San Francisco Bay area in California has many fantastic gardens. I had the privilege to visit the Ruth Bancroft's garden in Walnut Creek. in June of 2013. 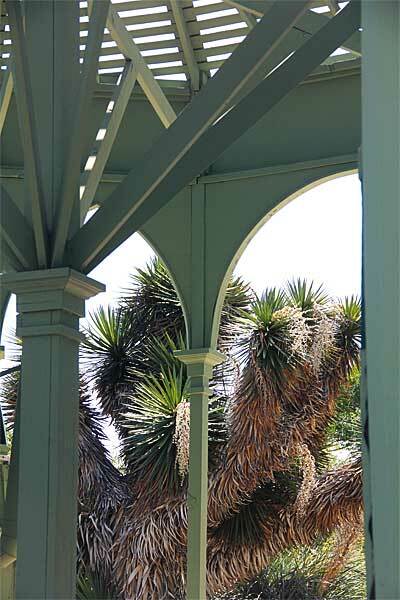 I fell in love with the soft green hue of this grand entrance to the 2.5-acre garden. 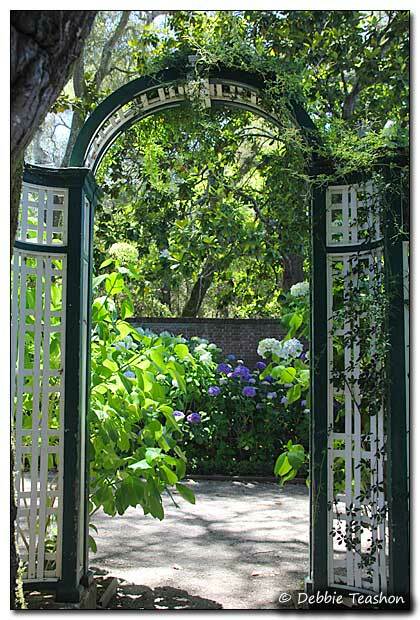 The Filoli Gardens in Woodside, California has a wonderful inner garden filled with hydrangeas, with this attractive white and green entrance into it. The region literally experienced a record-breaking heat day when I travelled through, so the entry area promised welcome relief from the heat. 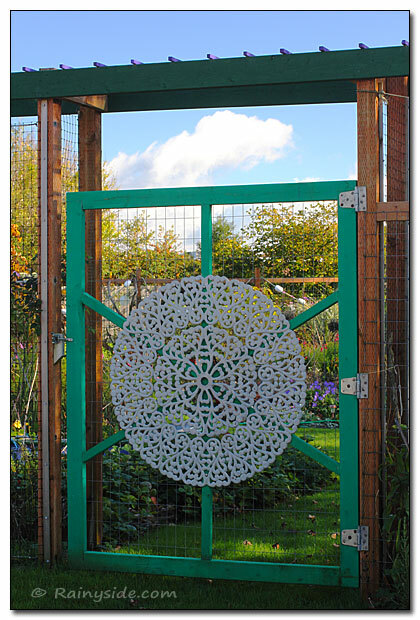 The gate medallion is a repurposed oxidized aluminum tabletop, which Alan Fitz and Skyler Walker used to dress up the gateway into their deer proof garden in Ilwaco, Washington. 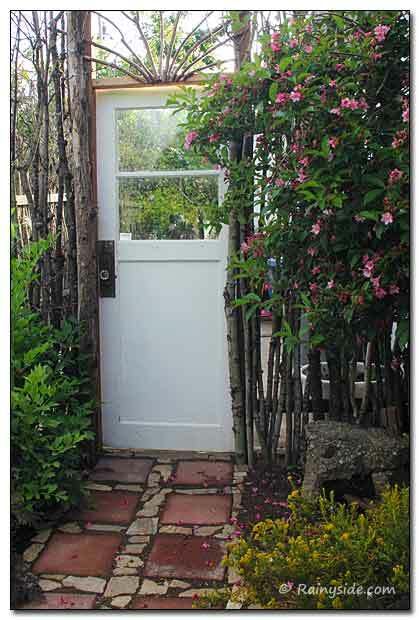 At Viscaya Nursery utilized a door for a gate to a backyard patio area.